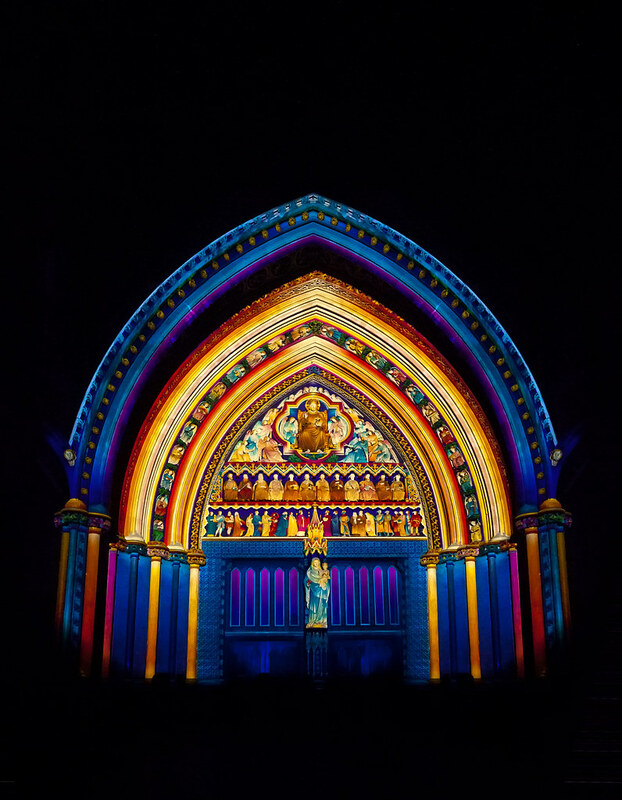 Another fantastic installation from the Lumiere London festival. This one is the Great North Door at Westminster Abbey lit up by Artist Patrice Warrener. The intricate details of the lighting was both amazing and beautiful.